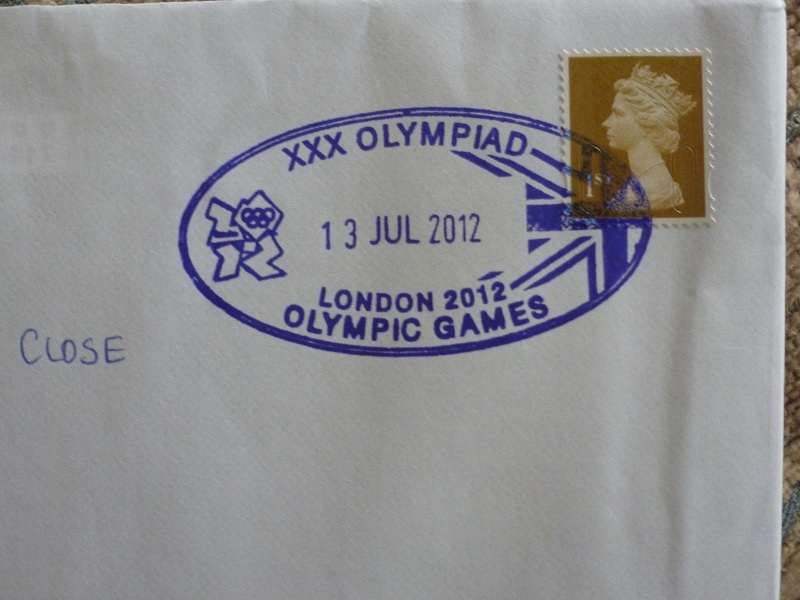 New Smilers Sheets at Olympic Village - Royal Mail ignore collectors. As reported earlier, there will be a Smilers Booth at the Olympic Games Village in Stratford. 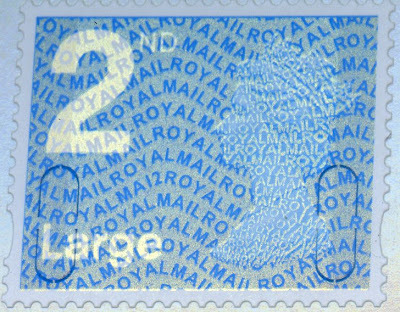 Graham Howard has now provided further information on this, and it represents another missed opportunity Royal Mail. They are available in two denominations 1st class Olympic/Paralympic NVI's and Worldwide NVI. 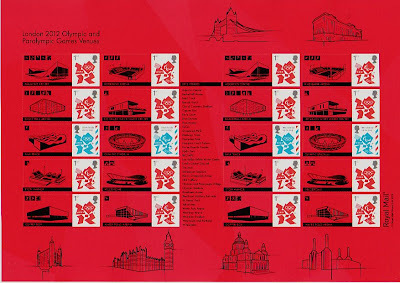 The 20 x 1st class sheet bears a passing resemblance to the recent Olympic and Paralympic Games generic sheet but is on a green background not red. 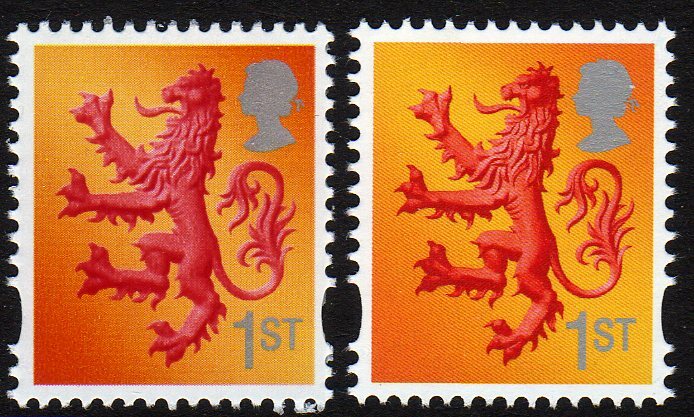 The Worldwide stamps are available in half sheets of 10 on a sheet of similar design but in yellow instead of red. 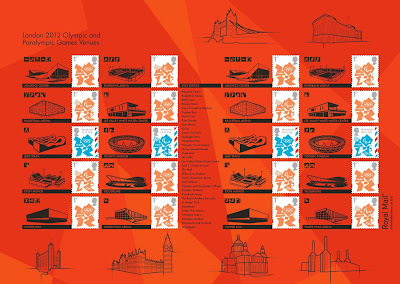 The 10 x WW NVI sheet has the same legend and the style is repeated on both halves of the sheet, one graphic top right - Houses of Parliament and the bottom three graphics are of St. Paul's, Battersea Power Station and The Tower of London. 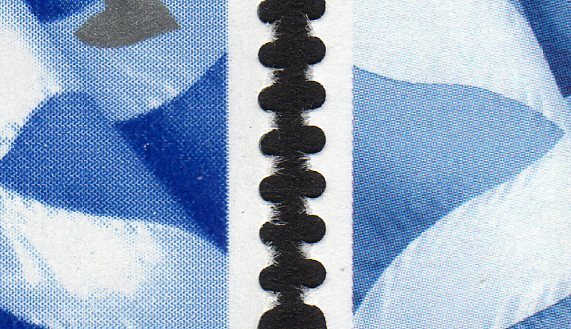 Whilst the WW NVI sheets are marketed as a 10 stamp, A5 sheet they are in effect half of 20 stamp A4 sheet separated in the middle. 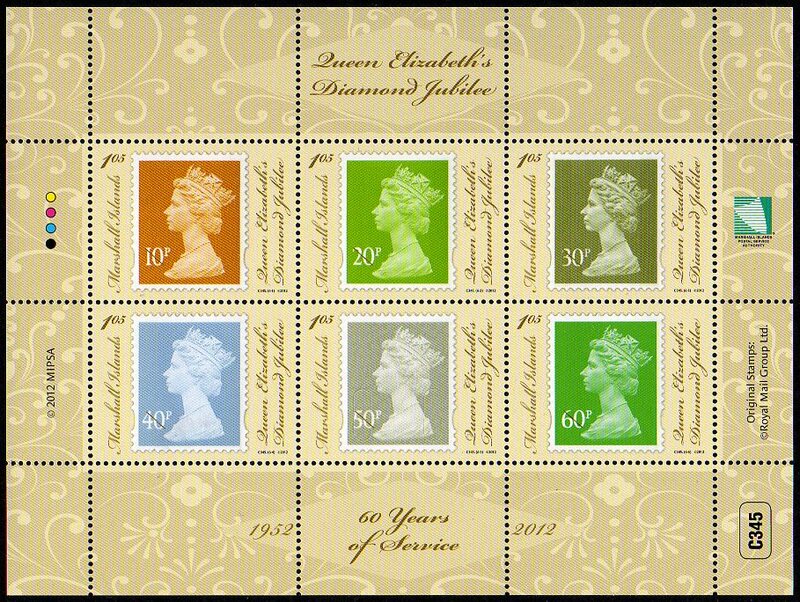 As collectors items they are best collected in sheets of 20 stamps which would increase the price to £37 a sheet. That said, here comes the bad news! The sheets are not being made available to the general public - only athletes, volunteers and visitors with an accreditation pass or an accompanied day guest invite within the Olympic Village Plaza!! 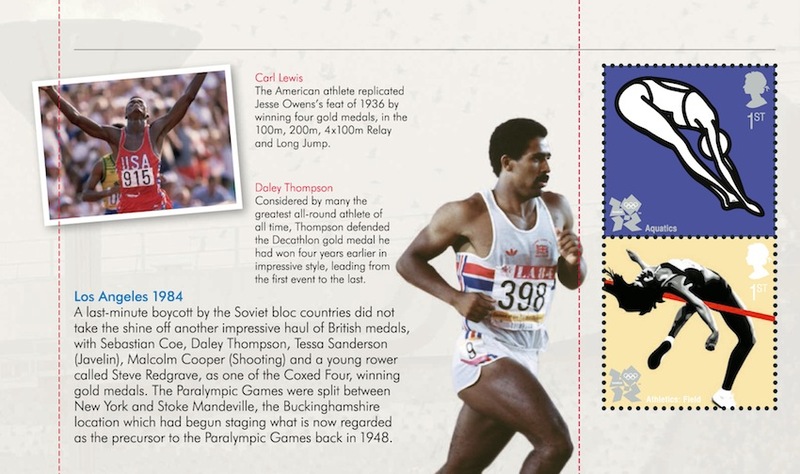 If you can gain entry to the Olympic Village then you can buy these sheets. Conversely, if you can't gain access then you won't be able to buy these sheets. 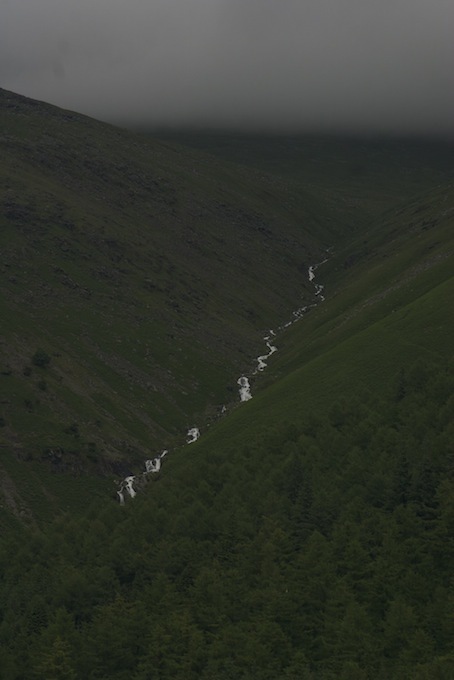 Graham has managed to acquire some sheets - we'll publish pictures as soon as we can after he does! 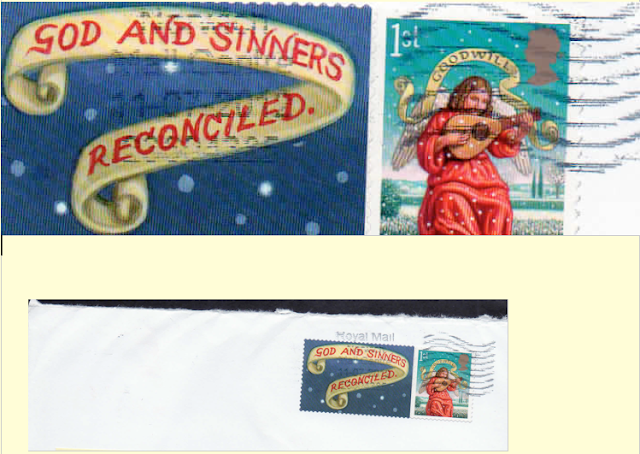 Royal Mail will probably argue that the Generic sheet will satisfy collectors. 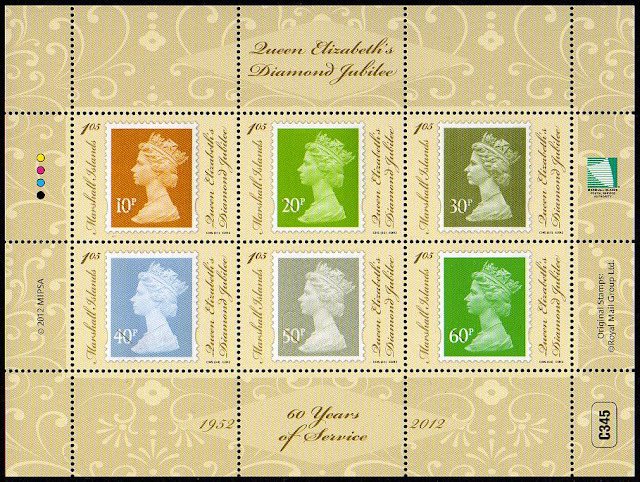 For most Smilers, the personalised sheets have different borders to the generic sheets, so the yellow and green backgrounds are no surprise - but normally collectors who want these variants can buy them through the Smilers service. Not this time. It would have been money for old rope, but it seems that they don't want the bother of handling these other than through their agent, Yink, with the booth at the Olympics. 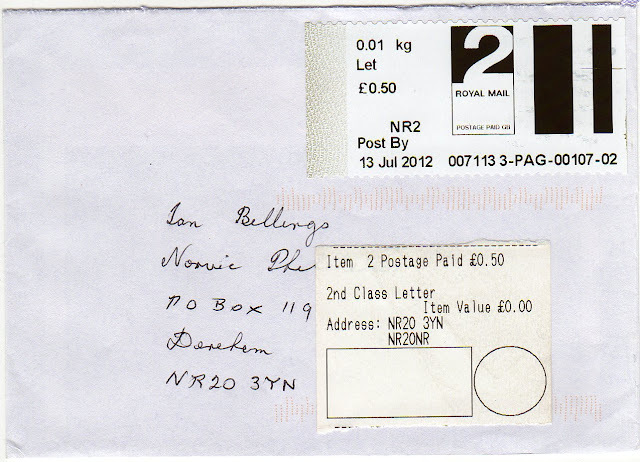 It's not vandalism, it's "Royal Mail" gold on postboxes! 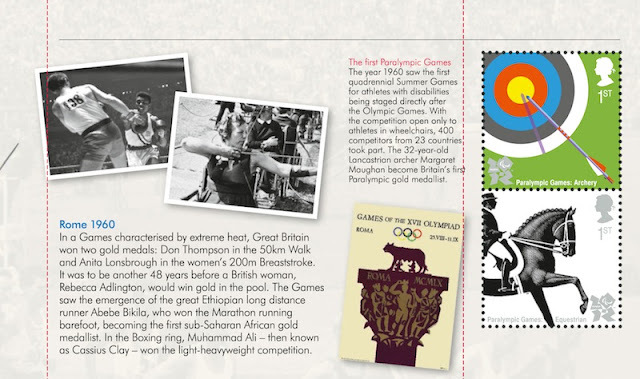 Royal Mail yesterday revealed that it will be painting some of its iconic and much-loved red post boxes gold to celebrate every Team GB and ParalympicsGB gold medal win during the London 2012 Olympic Games and Paralympic Games. This will be a unique, highly visible and fitting way to recognise the successes of Team GB and ParalympicsGB during this summer’s global sporting events. 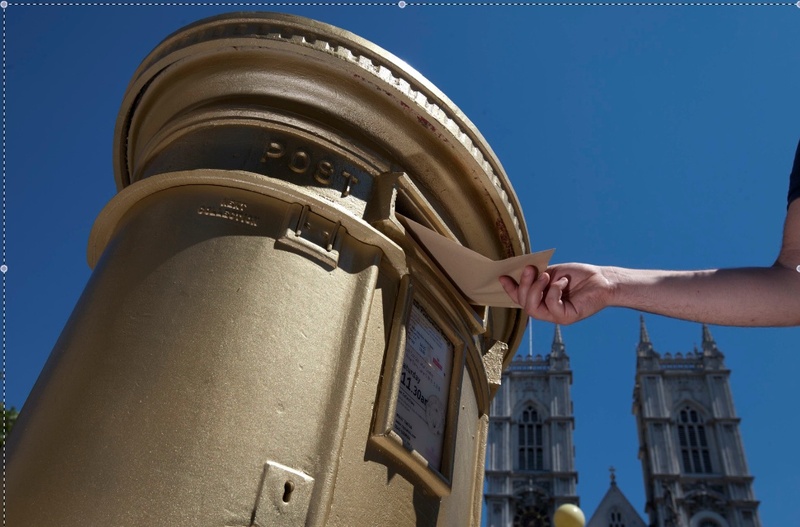 The UK is believed to be the first country to paint its post boxes gold to celebrate Olympic and Paralympic gold medal wins. 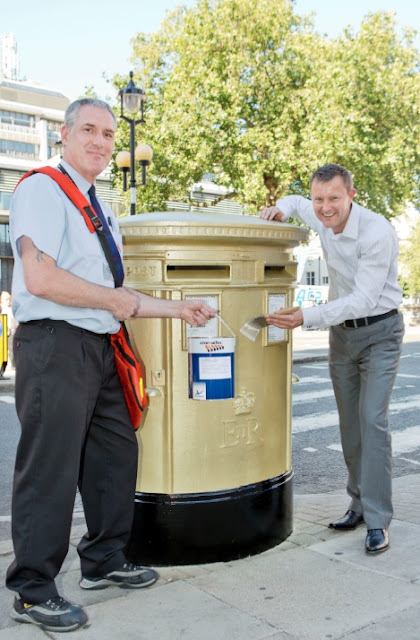 A dedicated team will be on standby to transform the specially selected post boxes within days of a win. The post boxes chosen will, wherever possible, be in the home-town of the winning athlete, or both home-towns for teams of two. To celebrate a gold medal win by teams of more than two competitors, the post box chosen to be painted gold will be in a location relevant to all team members. 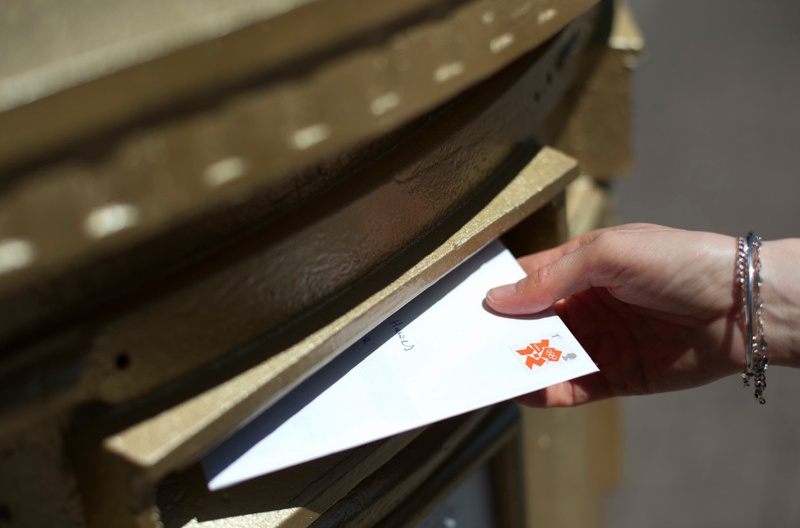 The gold boxes will remain in use and customers will be able to post mail in these boxes as normal. Mail collections from the boxes will also be unaffected. 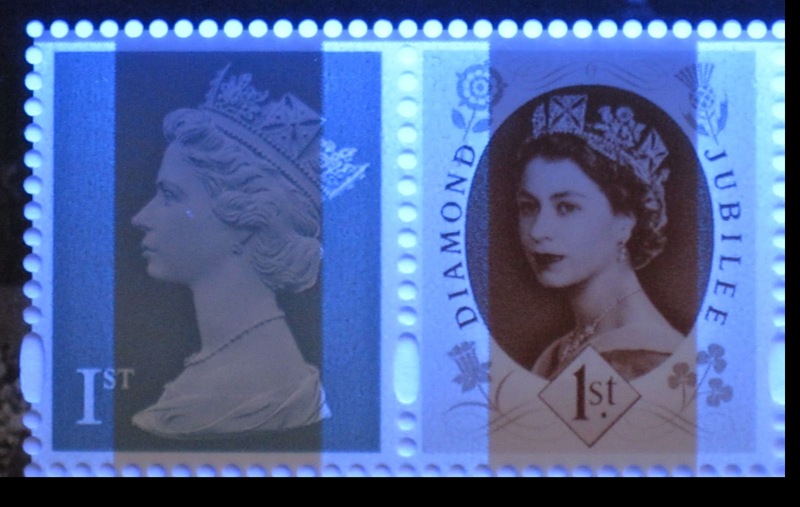 The boxes will be repainted in Royal Mail's traditional red in due course. Royal Mail demonstrated how the boxes will change from red to gold by painting a box in near to Westminster Abbey, London. 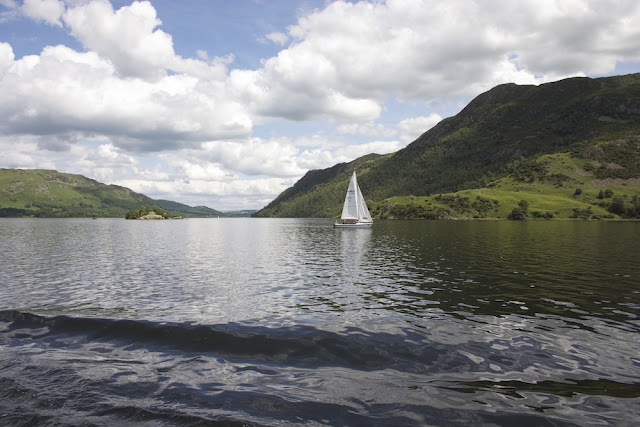 If you spot one, send send us a photo with location, we'll upload some here. It's not often I divert off to foreign parts, but I receive a big packet from Australia this morning, and the postage included two sheets of their first Olympic 2012 stamp. 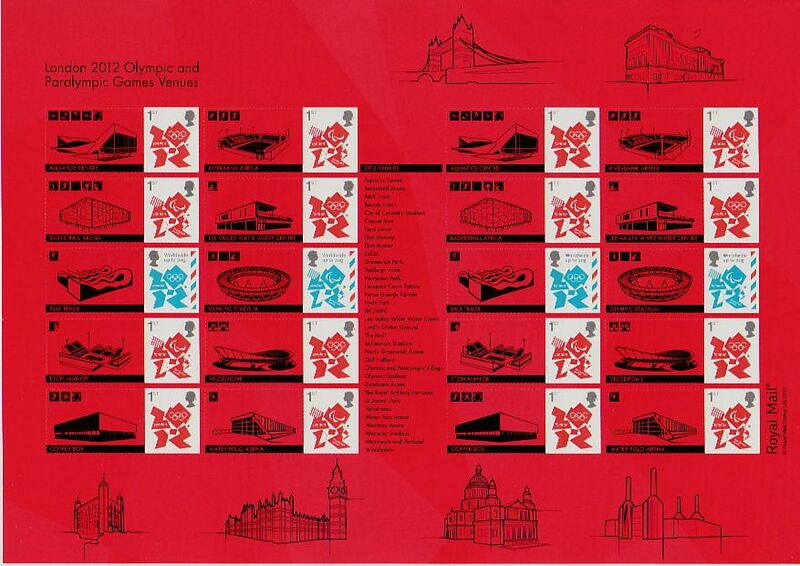 I like this, because it is unmistakeably about London (routemaster bus and landmarks), Australia (flag) and the Olympics (rings), but at the same time due to the colours used it isn't fussy. If you are interested you can see the whole sheets and the rest of the stamps on the Stampboards forum. 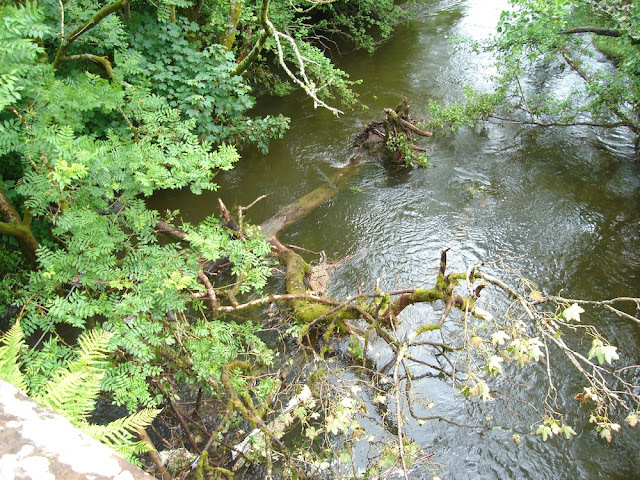 Brian Sinnott has updated the list of Post and Go locations and a complete list is now on his blog here. Machines with codes 699010/699011 are at the Old Street PO Head Office and are also used at exhibitions. 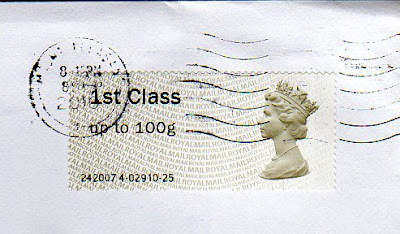 I hadn't seen the machine-vended Certificate of Posting, nor realised that the Post and Go labels now show a destination postcode - although not all of it is printed on the label (NR2 instead of NR20). Several items of news cropped up while we were away, and while we've been sorting out emails and post more has arrived, so here is a summary. following concerted action via twitter, the sheet is now on RM's shop site! See the original blog message, now updated, here. 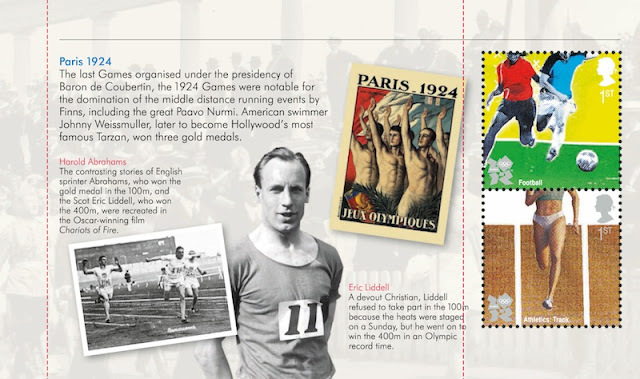 For the 'Welcome to the Olympics' issue on 27 July there will be a miniature sheet and a prestige stamp book - see our webpage. 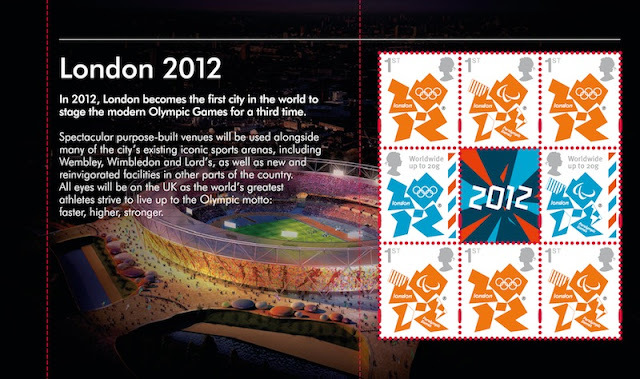 Two weeks ago no details had been announced and we didn't know whether the definitive pane would be Machins or Olympics or a mixture, and we expected that some of the stamps from (or the whole) miniature sheet would be included. We now have the pictures - but no technical specification - and it's all Olympic definitives and no miniature sheet stamps! 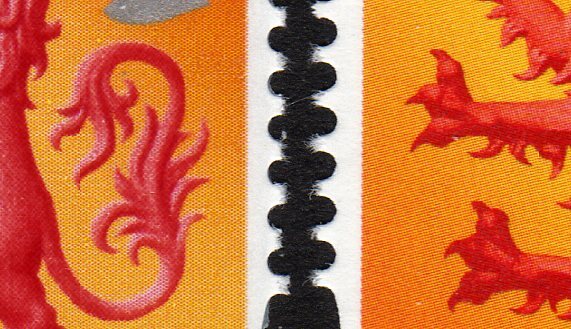 As I said, no technical details so we don't know whether the definitives are gummed* (which would make them new) or self-adhesive. 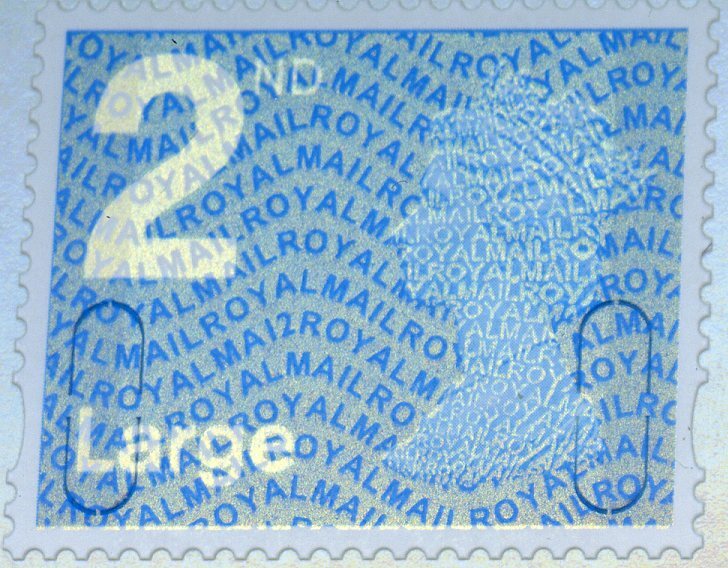 If the book is printed by Cartor in toto then the definitives will be from a new printer; if the definitives are self-adhesive by Walsall then the 20g will be new but the 1st class were issued in booklets printed by Walsall. 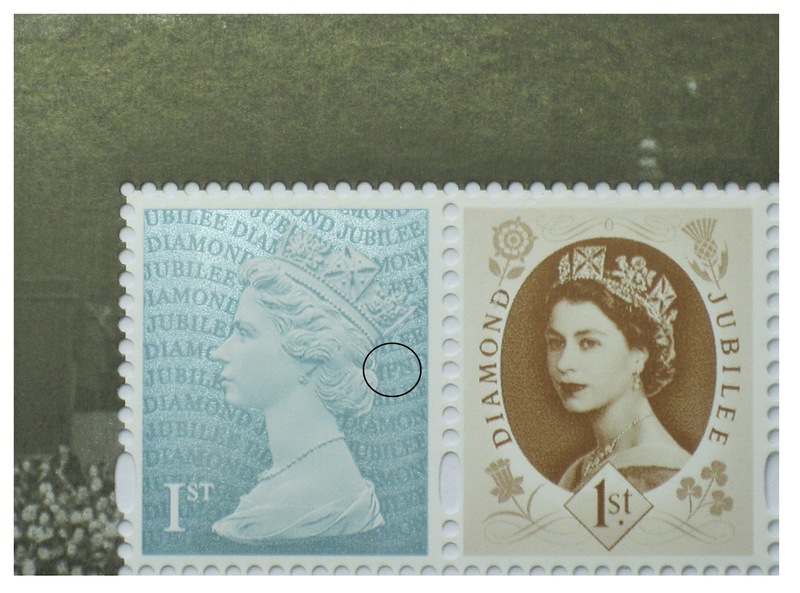 The 'sports' stamps on the other three panes were originally printed by Cartor in sheet form so, again, if the PSB is printed by Cartor these are not prima facie new stamps - but the phosphor may be different - heck, the perforation could be different as well! UPDATE 10 July: The panes (but not the book) are now to hand. All panes are gummed. The definitive pane has darker 1st class stamps than the pale orange shown, close to the sheet and booklet self-adhesive stamps but slightly paler. 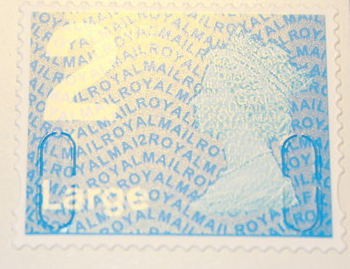 The 20g airmail stamps are a good match. 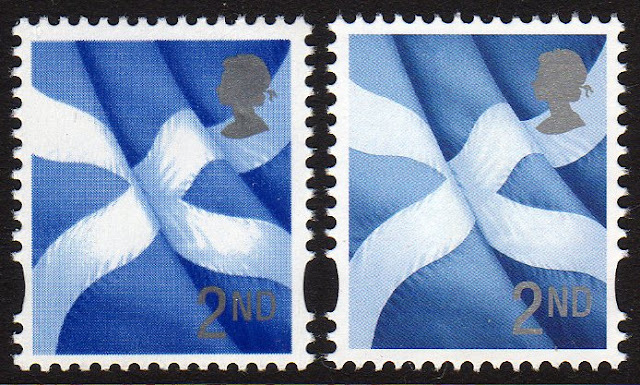 The Sports stamps on the other three panes look very similar to the stamps issued previously in sheets and have the same perforation as before, with all-over phosphor. The shade differences are minor, and the micro-printed years remain the same as on the original stamps. The se-tenant combinations are, of course, new.